The copycat Lambo was developed by a team of 16, with all of its components designed and built in Iran itself. The car has a six cylinder 3.8 liter Hyundai engine, allowing the vehicle to accelerate to up to 280 km/hour. For the record, the top speed of the real Lamborghini Murcielago SV is 342 km/hour, but that car has a V12. Not bad for a clone! Sputnik Persian got a chance to speak to Masoud Moradi, one of the Iranian Lamborghini clone's creators, to learn more about what inspired the vehicle, and the future he and his colleagues see down the road. "We love cars, and Lamborghini is the best car. 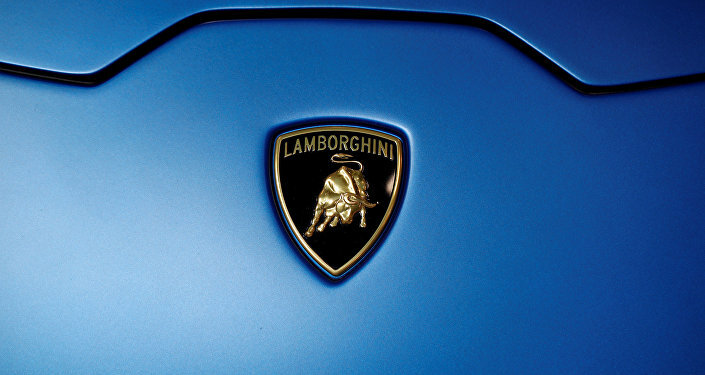 Lamborghini was our dream, and we created our own dream," Moradi explained. "On the other hand, we are designers and would like to one day design cars for the automotive industry," he added. 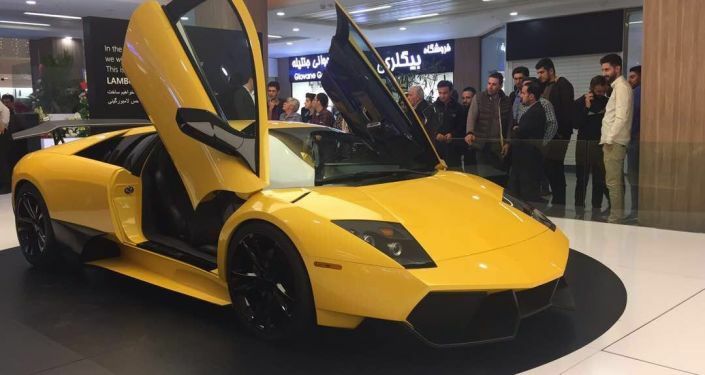 Iranian Lambo co-creator Masoud Moradi. 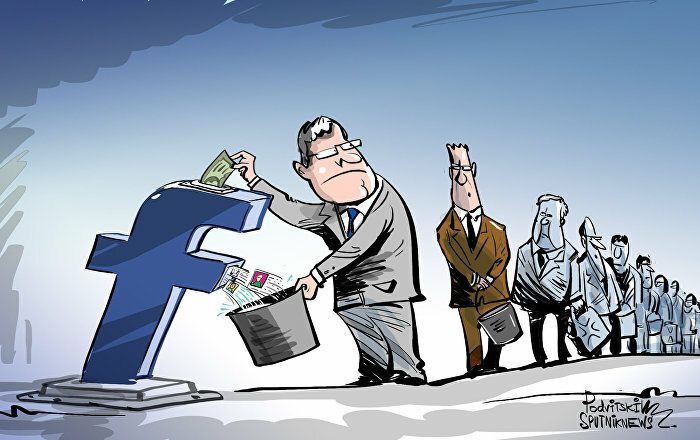 "We began the project at the digital design stage and the processing of data. All the components were first designed in Alias Design [a computer program for industrial vehicle design], and modeled in accordance with this data. Then, we moved the component designs to the production workshop, where parts were built based on the original. After that, work was completed on the vehicle's electronics, body assembly and trim. After that, the vehicle entered the road test stage," the designer said. Asked to assess the car's quality, and whether or not it has a future in the export market, Moradi said that while he and his colleagues feel that quality is "at a very high level," there are still some things he and the team wants to improve. 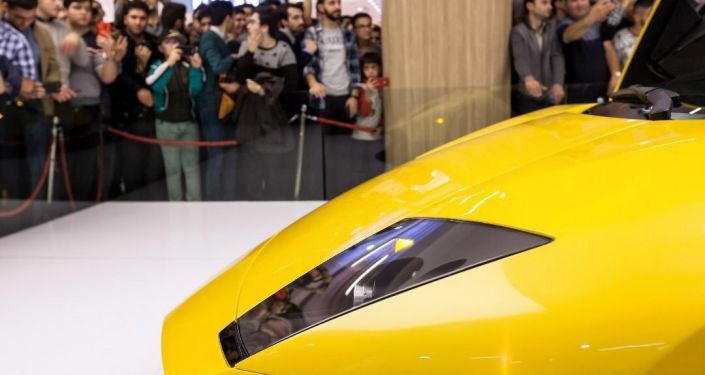 "As far as the production and sale of this vehicle is concerned – either in Iran or abroad, this depends on a decision on intellectual property which can only be made by Lamborghini," he said. In any case, the designer emphasized that the experience of reverse-engineering and building a car from scratch has been a highly worthwhile experience. "We believe that having reverse engineered one of the world's best cars, we were able to attain know-how on the design and production of supercars," Moradi said. Finally, Moradi apologized to the Italian supercar maker for "borrowing" the Lamborghini design. "But ultimately, we strive to create our own brand, to turn our own ideas into reality…In the near future, we will build the best supercar," the designer promised. Masoud Moradi and his Iranian Lamborghini clone.